The New Asia Chamber Music Society (NACMS) is committed to bringing audiences exceptional performances of the chamber music repertoire, drawn from the canon of western music as well as contemporary Asian culture. We seek to create innovative new works in partnership with other arts organizations around the world. The New Asia Chamber Music Society gave their sold out inaugural performance at Carnegie’s Weill Recital Hall in 2011, and have since performed in New York City’s major concert venues including Carnegie Hall’s Zankel Hall, Lincoln Center’s David Geffen Hall, Kaufman Center’s Merkin Hall and the Metropolitan Museum of Art. NACMS’s innovative programming has brought music to Ellis Island, Queens Museum, Flushing Town Hall, Joe’s Pub, Chelsea Museum, and the Taipei Culture and Economic Center of New York. In the 2015-2016 season NACMS toured Taiwan, performing at venues across the country including Taiwan’s National Concert Hall, and teaching masterclasses at the National Taiwan Normal University and Tainan National University of Arts. 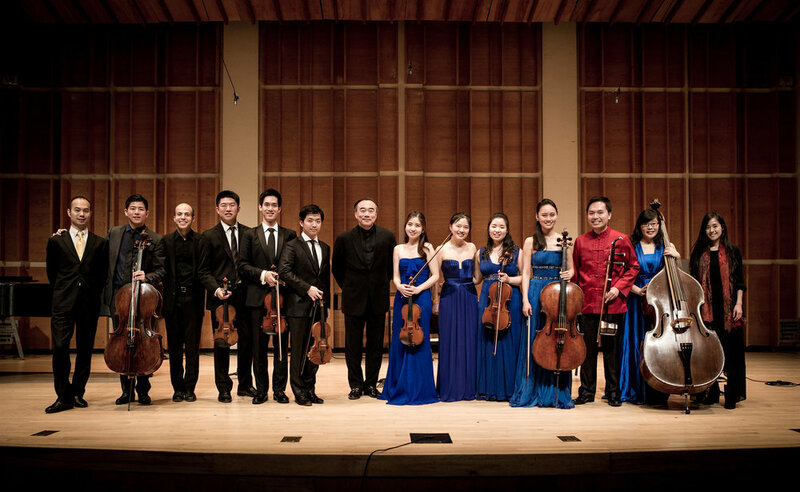 New Asia Chamber Music Society’s recent activities in 2017 include concerts at Merkin Hall featuring renowned violinist Cho-Liang Lin, and pianist Orion Weiss in Chausson’s Concert for Violin, Piano and String Quartet, Carnegie Hall’s Weill Recital Hall concert featuring guest pianist Zhang Fang, its Second Annual Gala at New York City’s Riverside Church, and performances as part of a cultural festival in Paraguay. Special guest artists in past seasons include acclaimed violists, Toby Appel, Hsin-Yun Huang, and the Amphion Quartet. In an effort to broaden the chamber music going community, NACMS has launched two new series, the House Salon Concerts and the Between The Bars Series. These events offer the audience a more intimate, intellectually stimulating and social experience. Ranging from informal and interactive workshop style talks given by musicians on the intricacies and beauty of chamber music informed by decades of experience – to behind-the-scenes perspectives of the chamber music life in performance and preparation. NACMS has partnered with other arts organizations to create innovative new works and concert experiences. Recently, NACMS collaborated with the Peridance Contemporary Dance Company to premiere Igal Perry’s ballet, Dia-Mono-Logues. Collaborated with the Nai-Ni Chen Dance Company performing Huang Ro’s string quartet Crosscurrent at New Jersey Performing Arts Center. Multiple appearances with tango bandoneonist/composer JP Jofre, as well as partnering with Flushing Town Hall for its Chinese New Year Temple Bazzar and annual fundraiser. The New Asia Chamber Music Society was the recipient of the 2016 Huang-Yu-Ting Memorial Award and New Music USA’s project grant. Coming up in 2018, NACMS will continue presenting monthly installations of the House Salon Concerts and Between The Bars Series, as well as making its debut appearance at the Hudson River Performing Arts Center in Houston. In November, NACMS will host its 3rd Annual Gala on Friday, November 9th at Riverside Church. The celebratory evening will include cocktails, dinner, live performances by NACMS artists, and a silent auction.